“Pua Iyam” by Juan Pablo Pineda III led the winners, bringing home Best Film with a cash prize of 7,500 pesos, Best Screenplay, Best Sound and Best Actor for Rowi Du. The award-winning actor, who is a member of the FEU Theater Guild, played the role of a guy who confesses his love and affection to his childhood friend (Raphael Cruz) after discovering his inner self. Five short films from Far Eastern University bagged different awards in the second Cinema Primera film festival held at the University of Perpetual Help Molino Campus in Cavite. “Madison,” a musical short film directed by FTG alumnus Jesus Singh III, got third place and 4,000 pesos. 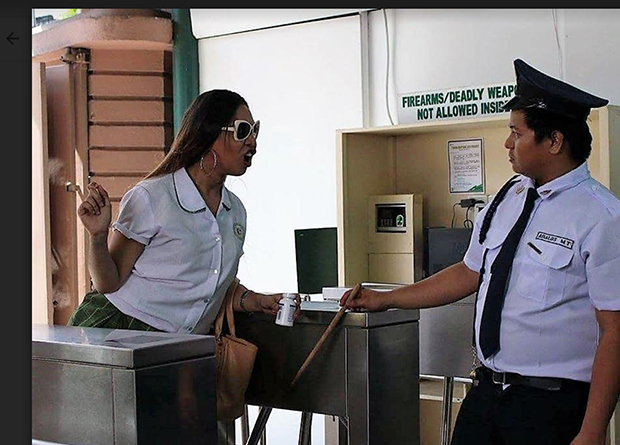 It is about a transgender student (Christian Viñas) who pokes fun at other people. Strange things happen after she belittles an old woman (Raven Relavo) who is asking for help. Du also won another award for Best Editing for his work on “Pag-uwi” directed by Tee Cabiles. Meanwhile, Benjamin Cidro won Best Production Design for Frances Louise Giner’s “Touch Move” as his team transformed a classroom in FEU into a life-size chess set. Bellatrix Tan got another Best Supporting Actress prize for “Estrella,” where she portrayed an older sister to an aspiring actress (Larissa Louise Alivio) who is suffering from spectrophobia. She won the same award for Jelen Tan’s film at the fifth Urduja Film Festival in Lingayen, Pangasinan last year. Filmmakers Pineda, Singh, Cabiles and Tan originally submitted their films as group projects for Cinema 2 under FEU Department of Communication special lecturer Seymour Sanchez while Giner and Cidro made their film as a final requirement for Prof. Nico Hernandez’s CNM2 class. Pineda, Cabiles and Giner are alumni of the FEU Film Society, with Pineda and Giner even serving as its former officers. The only non-FEU winner at Cinema Primera is “Ophelia” from Mapua University, which bagged second place, Best Director for Celina Mae Medina, Best Cinematography for Tricia Sotaso, Best Actress for Rea Molina and Best Supporting Actor for Soliman Cruz. “Ophelia” is about a depressed college student (Molina) who wants to seek psychiatric help but her parents (Cruz and Angelina Kanapi) have other plans in mind. Medina, who submitted the film as her thesis under mentor Prof. David Corpuz of Mapua, pocketed 6,000 pesos for the win. The other Cinema Primera finalists are “Ang Huling Bucketlist” by Bibo Ebuen, “Bukod Kang Pinagpala sa Babaeng Lahat” by Lyxen Nicolas, “Retrospektib” by Daryll Jameson Apaga and “Dama” by Trisha Marie Antonio, also coming from FEU Manila, as well as “Silakbo” by Dan Jaspher Martinez and “Virtuoso” by Amiel Salao, both from the host school. 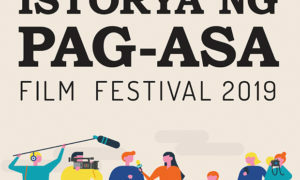 Multi-awarded filmmaker Arvin “Kadiboy” Belarmino served as Cinema Primera festival director with the UPH-Molino Multimedia Arts Department, under Chair Rolando Quirong, as the event’s main organizer. Cinema Primera was originally conceived in 2017 when Belarmino conducted a film seminar with the MMA students of UPH-Molino College of Arts and Sciences.